Brewing loose tea is easy if you start with well tea, add high quality water and steep to your personal taste. We have given the following general rule to get you started. Feel free to adjust the steeping time or amount of tea to your tastes. 1.Select any kind of pot or cup you like. 2.Rinse the brew vessel with hot water then add the right amount of tea leaves. 3.Pour the right hotness of water over the tea leaves. 4.Wait for the leaves to infuse for the time listed above. Adjust time depending on your taste, longer brews for a richer taste, shorter for a lighter taste. •Don’t forget that all Chinese loose leaf tea can be brewed many times. Subsequent cups will not only yield different flavors but even more nutrition. Just continue to add more of the same temperature of water over your leaves. 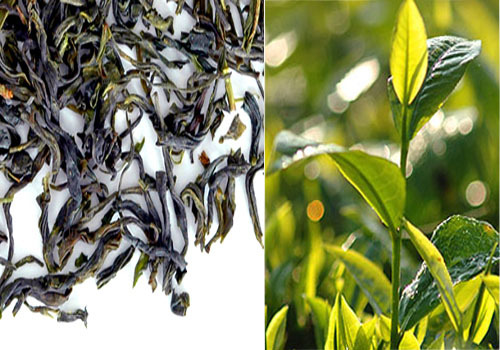 •Leaves of White Tea, Green Tea or Yellow Tea can be infused about four times. •Leaves of Black Tea or Scented Tea can be infused about five times. •Leaves of Oolong Tea or Pure Tea can be infused more than five times. •Other than your tea, water and vessel, you often won’t need any extra equipment like an infuser basket or ball. Loose tea steeps wonderfully on its own! In fact, the most popular way to drink tea in China is to just put tea leaves in a cup or pot and pour water over them without using any kind of strainer. •Try brewing your favorite teas in a tall glass. This simple way of brewing tea is popular in China because it allows the drinker to be grateful for the shape and color of the infusing tea leaf. Although most whole tea leaves will settle down to the bottom of your cup once they hydrate, some leaves and buds will still naturally float on the surface of the water. Just blow them out of the way before sipping. By the second or third infusion all of the tea leaves should be at the bottom.